A pen with a secret message of hope and celebration! 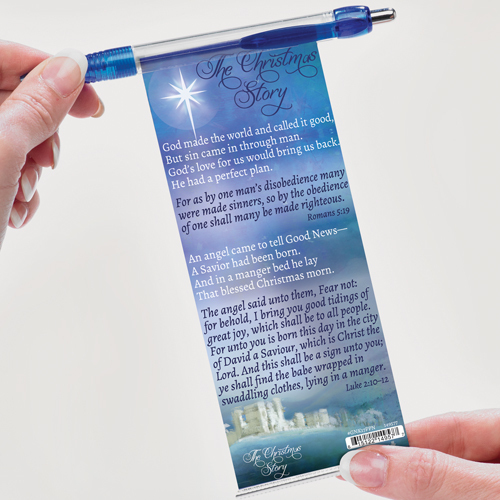 This pull-out banner pen features the Christmas story in an attractive and fascinating way. Looking for a fun way of sharing the Good News? This Ballpoint pen has a pull-out banner that tells the Christmas story. Ballpoint pen has a pull-out banner that tells the Christmas story. Ink pen has a hidden pull-out banner that features the meaning of The Christmas Story told in poem, Scripture, and life application. Click pen with retractable banner has black ink and features Bible verses from the book of Romans and Luke, along with references to other verses. Joyfully expressing the wonder and amazement of that first Christmas, this pen will be sure to please. 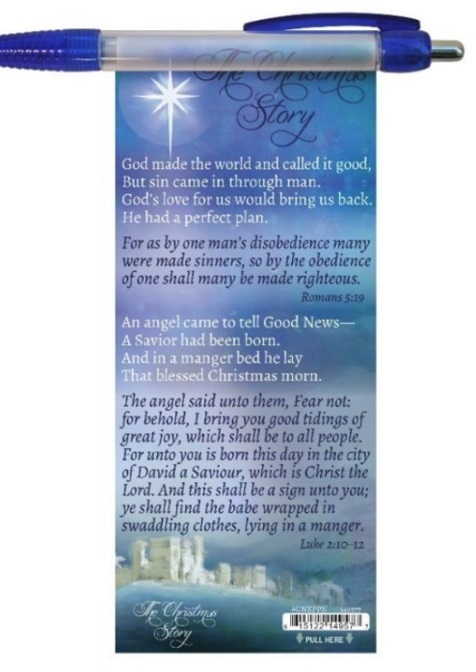 Hand out at Christmas or Advent services, give away to church staff, volunteers, or visitors. Hand out during outreach events or while ministering to the less fortunate. Spread the joy of Christmas through this useful pen! 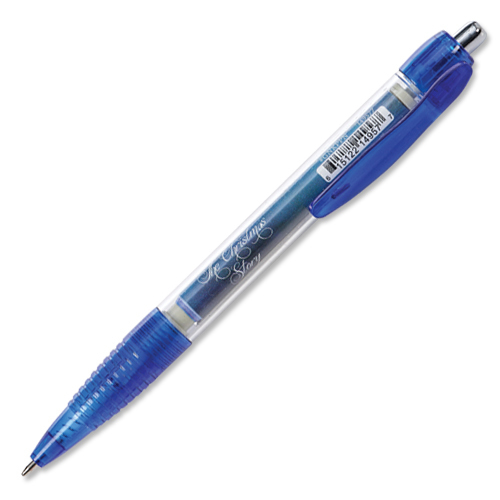 Pen has black ink and measures 5-1/2" in length. The banner measures 2-5/8" x 6-1/2" when extended. 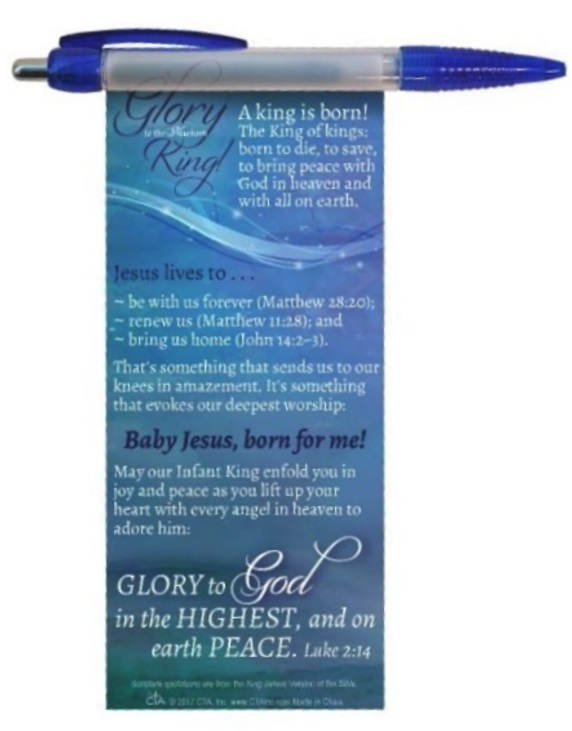 Glory to the New Born King - Pull Out Banner Pen was published by CTA in September 2018 and is our 1613th best seller. The ISBN for Glory to the New Born King - Pull Out Banner Pen is TDGNK17PPN. Be the first to review Glory to the New Born King - Pull Out Banner Pen! Got a question? No problem! Just click here to ask us about Glory to the New Born King - Pull Out Banner Pen.